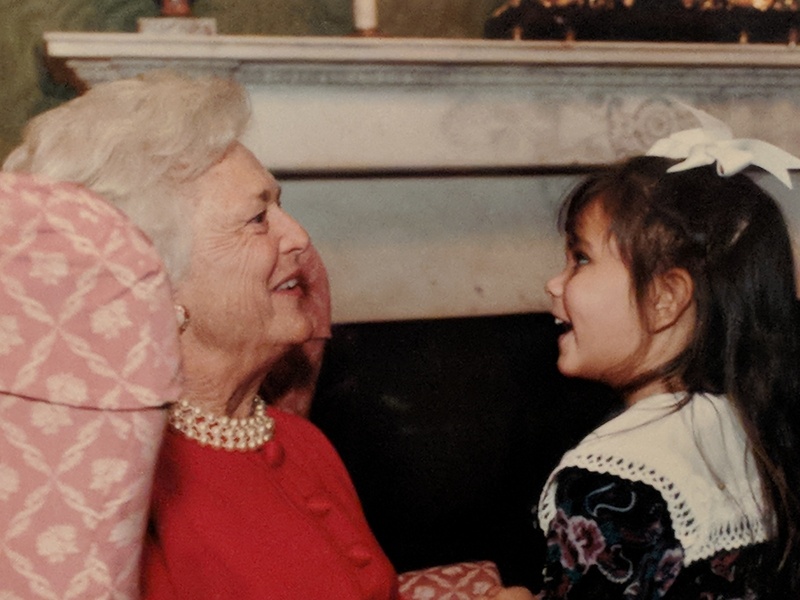 Barbara Bush, With Danielle, At The ‘White House’, November 1992. I was distressed to hear, earlier today, that former First Lady Barbara Bush (now 92) is in failing health and as opted to forgo further medical treatment. Like so many around the World, I wish her the very best. She was quite the Lady — the epitome of one, and I think the above pictures, that hangs in our hallway, captures it all. She was a genuine, caring human being — you can see it in those eyes. This picture, at the White House, was taken in late November 1992 — about 2-weeks after they lost the presidential election to Bill Clinton. While, she had expressed, understandably disappointment, you can clearly see that she was not bitter or sulking. She did, however, tell Danielle, a rambunctious 3-year old at that the time, not to break anything too valuable because the they had to make sure that they handed over the House in tip-top condition. There have, of course, been quite a few exemplary First Ladies, and Barbara Bush of course is up there among the best — and you can’t deny that irrespective of her politics. She and Abigail Adams share an unique distinctions. They were both, Second Ladies of the United States, First Ladies and mothers of subsequent presidents. Wow. Pretty impressive. Her pictures will grace our hall and lives for as long as I am around.